Perfectly situated on the 40th floor of the ultra-luxury condominium community of Trump Towers in Sunny Isles Beach, Florida is this truly stunning oceanfront condo. Showcasing jaw-dropping views throughout its spacious 2,768 square foot open interior, this breathtakingly beautiful Trump Towers residence is comprised of 3 spacious bedrooms and 3.5 bathrooms. In addition to its absolutely breathtaking views this impeccably appointed condo boasts a wealth of exceptional features including a private lobby, an island kitchen with sleek modern cabinetry and top-of-the-line appliances, walls of floor-to-ceiling windows, custom lighting, custom electric window treatments, custom closets, a state-of-the-art home automation system and an expansive wrap-around balcony overlooking the shimmering waters of the Atlantic. 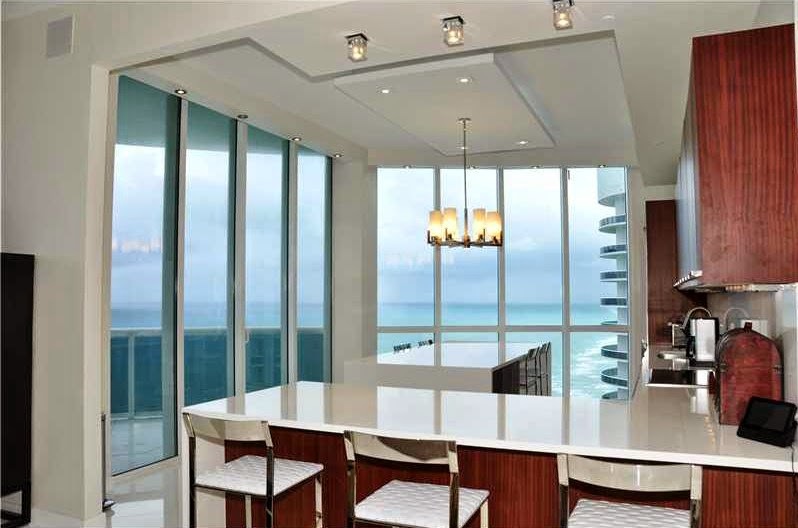 16001 Collins Av 4001 is located in Sunny Isles Beach and is currently asking $3,595,000. This Trump Towers listing is courtesy of Luxury Living Listings MLS# A2101921. Nestled along 250 feet of Atlantic Shoreline in the seaside city of Sunny Isles Beach, Florida, Trump Towers residents don't have to travel far to enjoy the best South Florida has to offer. World-class dining, upscale shopping and iconic nightlife are all just moments away. Residents of Trump Towers are also indulge in an amazing array of 5-star amenities including a dramatic 3-story lobby, oceanfront terrace with pool and spa, fully equipped fitness center and health spa, beachfront cabanas, 24/7 valet and concierge service, secure garage parking and 24/7 security.